Focus on today . Plan for tomorrow. Welcome to the List It Planner! 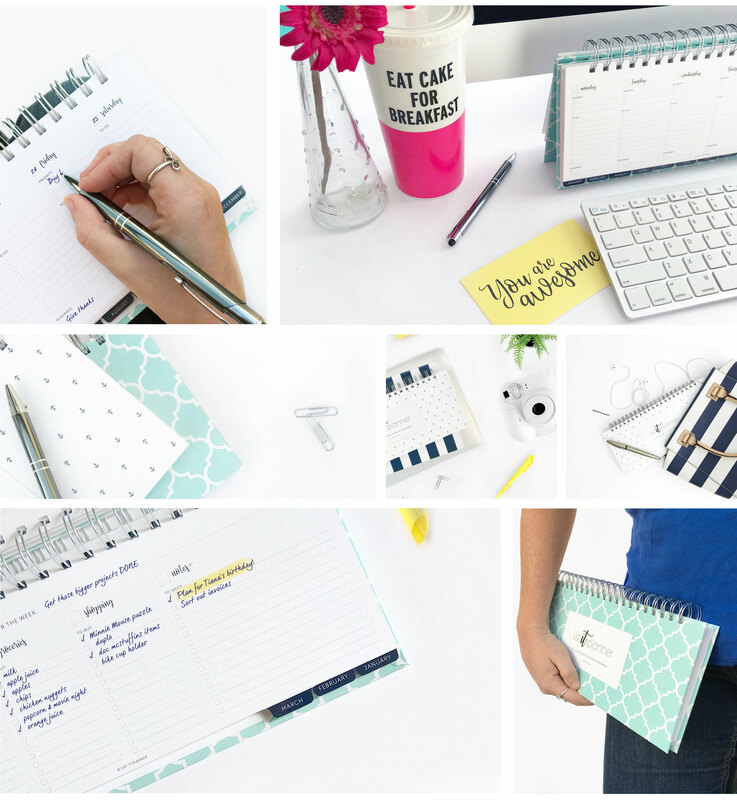 The ultimate list planner to make your life a little less crazy, and a little more organized. 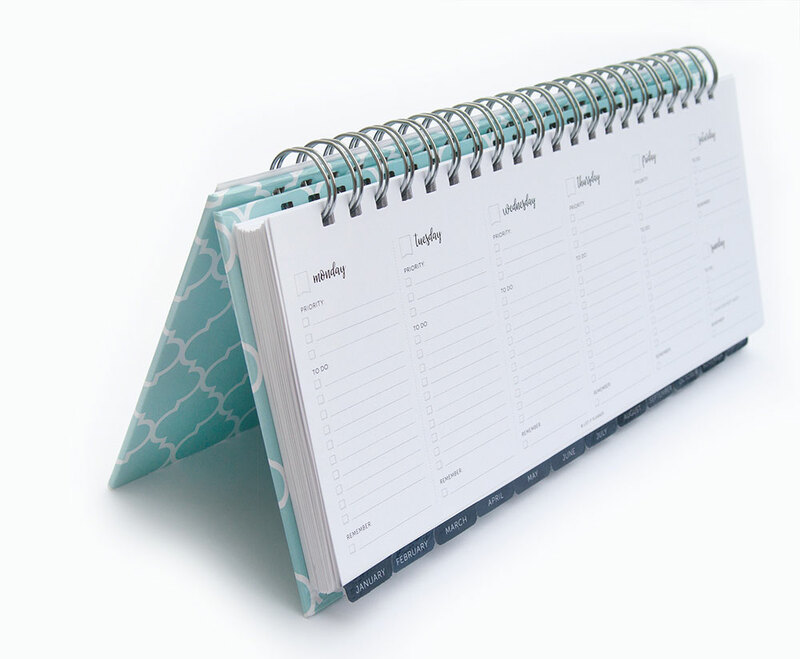 It is designed to alleviate the stress of remembering everything else going on, and give you one designated planner to store all those daily ‘to-dos’. 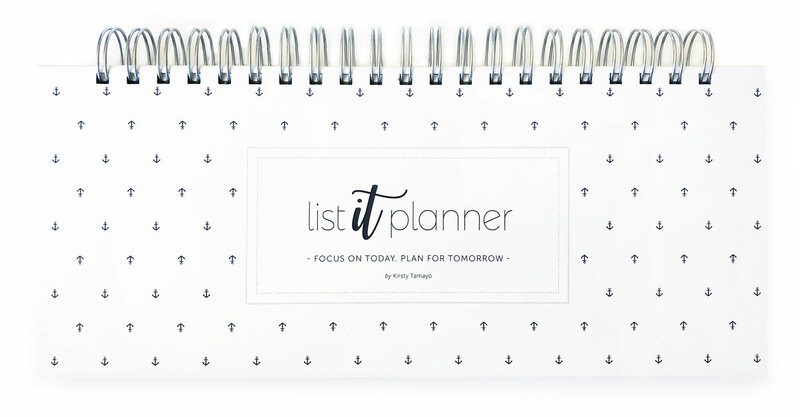 The List It Planner is a perfect desk, handbag or counter accessory, allowing you to focus on today and plan for tomorrow. Our tried, tested and loved(!) layout of the daily ‘to-do’ pages makes all your tasks easier to manage (and remember). Looking for a planner for April and finding something either 4 months too late or 8 months early? We get it! The List It Planner starts when you want it to. THE ULTIMATE TO DO LIST PLANNER. 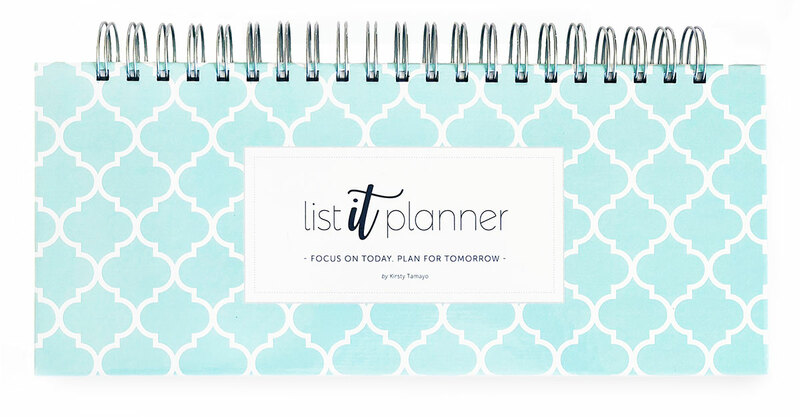 More than just a planner, the List It Planner is your go-to tool for all your planning needs. The List It Planner is not only your weekly planner, but encompasses grocery lists, shopping lists, weekly to-do lists, daily lists, christmas gift lists, birthday gift lists, important information and so much more! Choose between two cover designs, both featuring hardback covers for added protection. DESIGNED FOR EASE. PRODUCED TO PERFECTION. Made in the USA, the List It Planner is produced using the finest paper, quality craftsmanship and bound to order. 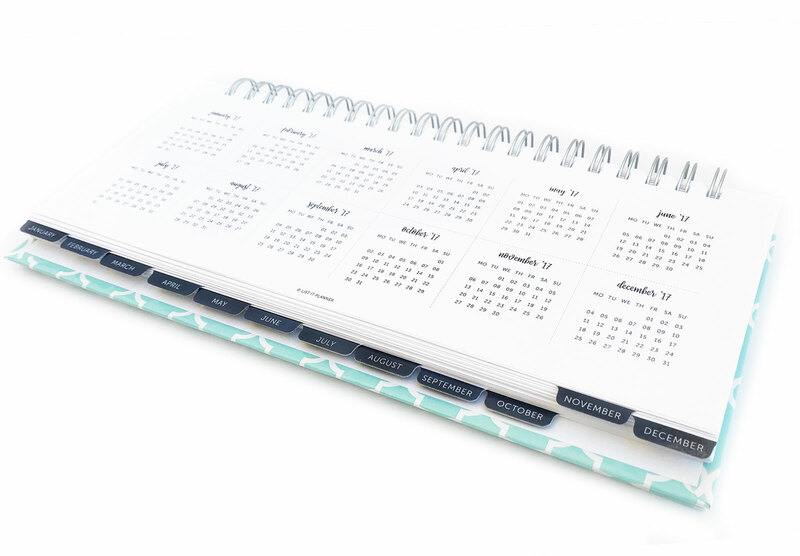 Finished with a laminated hard cover, the double wire, coil bound planner can be used flat to write, or stood on your desk as a point of reference. I just got my Planner today & I love it! I’m using this one for my husband and I to list things out & finally get them done. I’m a list maker, so finally a planner for us! Ordering one for work now too! Join our exclusive VIP list and receive exclusive offers, promotions and planning tips. You’ll also be the first to know about new products and cover designs!